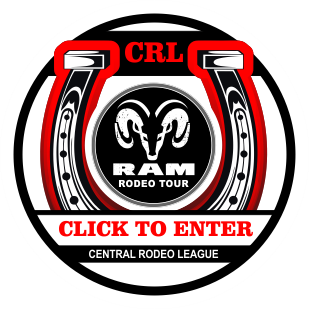 Central Rodeo League is excited to announce that all Central Rodeo League events, (RAM Rodeo Tour, Case IH Ultimate Rodeo Tour and RAM Roping Tour) will be aligned with the World Champions Rodeo Alliance (WCRA) effective immediately. (May 25, 2018). Ontario’s RAM Rodeo Tour and Case IH Ultimate Rodeo competitors will all have the opportunity to compete for points that are aligned with the WCRA, [which has launched the 2019 $6 Million Dollar WCRA Major Event Series." This will allow competitors to Make Every Ride Count, anytime they enter a Central Rodeo League event. The WCRA’s $6 million series will be comprised of four large rodeos each featuring a $1 million purse, with four semi-final qualifier events, which will provide the additional $2 million in prize money. Qualifying will be based on points, rather than dollars won, through a new world ranking points system that WCRA has introduced. Each Central Entry Rodeo League competitor can begin qualifying for the $6 million WCRA series by visiting app.wcrarodeo.com and signing up as a user through the WCRA Virtual Rodeo Qualifier, which is a state-of-the-art mobile web application. The Komatsu Equipment Days of 47 Cowboy Games and Rodeo Presented by Zions Bank, in Salt Lake City will be the first $1 million rodeo to utilize the WCRA Virtual Rodeo Qualifier system and takes place on July 19-24, 2018. The top 20 in each discipline as of July 9th on the WCRA Leaderboard will qualify for the Days of '47 Rodeo (except Bull Riding which will qualify the top 4). Athletes can continue to nominate and compete for a position throughout the summer for the first WCRA $500,000 Semi-Finals, which will be held at the Lazy E in Guthrie, OK in November 2018.